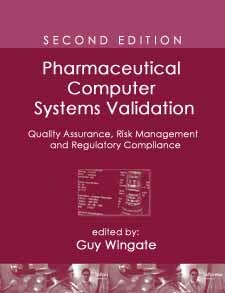 Pharmaceutical Computer Systems Validation examines computer validation and verification principles and how to put them into practice. Pharmaceutical Computer Systems Validation reviews regulations of pharmaceuticals, healthcare products, blood processing, medical devices, clinical systems, and biotechnology. All 24 case studies from the first edition have been revised.